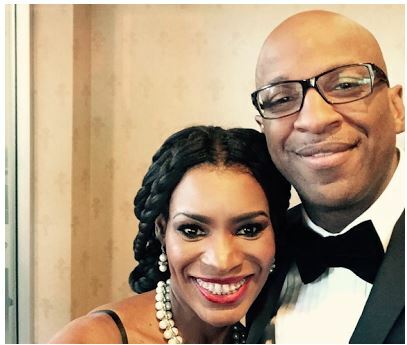 American gospel singers Donnie McClurkin and Nicole C. Mullen are getting married. Donnie McClurkin made the announcement when he appeared on TBN’s long -running “Praise the Lord” ministry show on Thursday night. A.R. Bernard, who was also a guest on the show hinted at McClurkin’s engagement during a discussion about his new book, What Women Want From Men. Th show host Matt Crouch then stood up and announced that the 56-year-old “We Fall Down” singer and Perfecting Faith Church pastor is, in fact, on course to getting married. McClurkin said that even though they’ve known each other for 15 years, the first time they really had a chance to talk was when they were seated next to each other on a flight to Ivory Coast, during which they spoke for eight hours. Mullen was married twice. During her first marriage, the songwriter and choreographer endured physical and mental abuse. In 1993, she married CCM singer-songwriter David Mullen. They announced their divorce in 2014, citing “Biblical reasons” The marriage produced three children, one daughter and two sons. The Beatles: Did Ringo Starr Admit That The ‘Real’ Paul McCartney Died And Was Replaced By A Look-alike? I am extremely elated that Donnie and Nicole are engaged…please write songs and sing together. I am filled with joy that Donnie has finally found someone to love…has found a good thing…and has obtained favor from the Lord. I wish I would be invited for their wedding…Thank you Jesus for You truly make all things beautiful in Your time. Amen.